What Makes Aluminum Bronze Anti-Corrosive? It refers to a group of alloys of Copper and Aluminum that is marked for high anti-corrosive properties and tensile strength. CuA15 also contains a small amount of Arsenic (0.4% max). Know about some of the main physical and chemical properties of Aluminum Bronze. 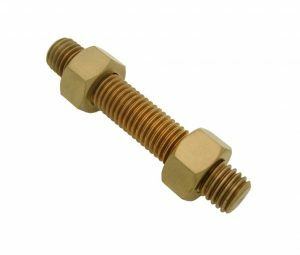 This alloy group offers higher tensile strength and resistance compared to other alloys of Bronze. They are resistant to tarnish. They experience low oxidation rates at high temperatures. The alloys under this category show low reactivity to sulfurous compounds and other products of combustion. These alloys are resistant to sea water. The copper present in this alloy group prevents accumulation of marine organisms like algae, mussels, etc. The anti-corrosive properties of some of these alloys can be further enhanced by heat treatment. They are often prepared by commercial producers by enhancing its property of remaining free from sparks at sites with explosive materials and environment. The tensile strength of this group of alloys varies. As permanent mold cast, it is 82 ksi or 565 MPa for alloy containing 89% Copper, 1% Iron and 10% Aluminum. It is 113 ksi or 780 MPa for alloy containing 80% Copper, 4% Iron, 4.3% Nickel and 11% Aluminum. The yield strength of this group of alloys varies as permanent mold cast. For a typical sample of 0.5% extension under load, the yield strength is 34 ksi or 235 MPa for alloy containing 89% Copper, 1% Iron and 10% Aluminum. It is 62 ksi or 430 MPa of alloy containing 80% Copper, 4% Iron, 4.3% Nickel and 11% Aluminum. The typical elongation is 6% in 2 inch (or 6 %, in 51 mm) of Aluminum Bronze alloy that includes 80% Copper, 4% Iron, 4.3% Nickel and 11% Aluminum. The elongation is 20% in 2 inch (20% in 51 mm) of an alloy that contains 89% Copper, 1% Iron and 10% Aluminum. The Rockwell Hardness on B Scale is 80/80 for an alloy under this category containing 89% Copper, 1% Iron and 10% Aluminum. The hardness is 99/99 for alloy containing 80% Copper, 4% Iron, 4.3% Nickel and 11% Aluminum. The fatigue strength at 108 cycles as sand cast is 22 ksi (or 152 MPa) for alloy containing 89% Copper, 1% Iron and 10% Aluminum. The fatigue strength is 31 ksi (or 214 MPa) for alloy containing 80% Copper, 4% Iron, 4.3% Nickel and 11% Aluminum. The density of this alloy is .269 lb/in.3 at 68°F (or 7.45 g/cm3 at 20°C) of alloy containing 83.2% Copper, 4% Iron and 10.8% Aluminum. The density is .276 lb/in.3 at 68°F (or 7.64 g/cm3 at 20°C) of alloy containing 81% Copper, 4% Iron, 4.5% Nickel (including Co), 9% Aluminum and 1% Mangenese. It is 80.2 ohm x cmil/ft at 68°F (or 13.3 micorohm-cm at 20°C) of alloy containing 89% Copper, 1% Iron and 10% Aluminum. The electrical resistivity is 122.8 ohm x cmil/ft at 68°F (or 20.4 micorohm-cm at 20°C) of alloy containing 80% Copper, 4% Iron, 4.3% Nickel and 11% Aluminum. The thermal conductivity is 20.8 Btu x ft/(hr x ft2 x deg. F) at 68°F (or 36.0 W/m x deg.K at 20°C) of alloy containing 81% Copper, 4% Iron, 4.5% Nickel (including Co), 9% Aluminum and 1% Manganese. The thermal conductivity is 33.9 Btu x ft/(hr x ft2 x deg. F) at 68°F or (58.7 W/m x deg.K at 20°C) for alloy containing 83.2% Copper, 4% Iron and 10.8% Aluminum. 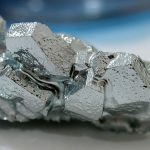 Its electrical conductivity is 7% IACS at 68°F (or 0.041 Siemens/cm at 20°C) for alloy containing 81% Copper, 4% Iron, 4.5% Nickel (including Co), 9% Aluminum and 1% Manganese. The electrical conductivity is 13% IACS at 68°F (or 0.075 Siemens/cm at 20°C) of alloy containing 83.2% Copper, 4% Iron and 10.8% Aluminum. It is 20 (Free Cutting Brass [C36000] = 100) of alloy containing 81% Copper, 4% Iron, 4.5% Nickel (including Co), 9% Aluminum and 1% Manganese. The machinability is 60 (Free Cutting Brass [C36000] = 100) of alloy containing 83.2% Copper, 4% Iron and 10.8% Aluminum. The Aluminum component of the alloys reacts with atmospheric oxygen to form a thin, tough surface layer of alumina (aluminium oxide). This layer helps to resist corrosion. It is preferred over applications where resistance to corrosion is an important consideration. It is used in the manufacture of instruments that include aerospace equipments and engine components (particularly of sea vessels). Its non-magnetic property makes it ideal to work with strong magnets like MRI machines. It is preferred over stainless steel or other non-copper alloys in equipments where colonization of marine organisms is a threat. This alloy is also used in jewelries because of its gold-like coloration. Aluminum Bronze electrodes are used for welding and surfacing of joints between steel and copper alloys. Such electrodes find vivid use in naval vessels and chemical industry in pumps, propellers, etc.